Because we care about the chemicals we use. I feel like we all know so many more people who are affected by allergies, if not ourselves. With that being said, most of us are always searching to figure out how to clean our homes naturally. What happens though when we really have to disinfect, battle mold, or water damage, etc. We don't want to have to choose from using the right chemical to do the job and the safe chemical for our immune systems. SERVPRO is so aware of the sensitivity of our clients and want to do our best with using chemicals that won't hurt or leave long lasting affects on our environment. 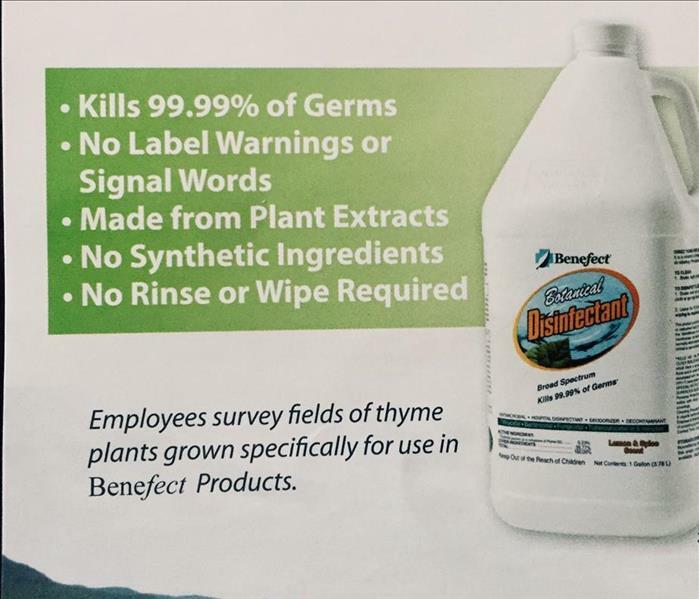 Benefect is the world's first government-registered hospital disinfectant using essential oils from plants. This technology is used to kill germs without having any health impact on pets or humans. This products is essential in our process at SERVPRO of Baltimore's Inner Harbor. Please contact us with any questions about this product or any that we use. One thing can lead to another. 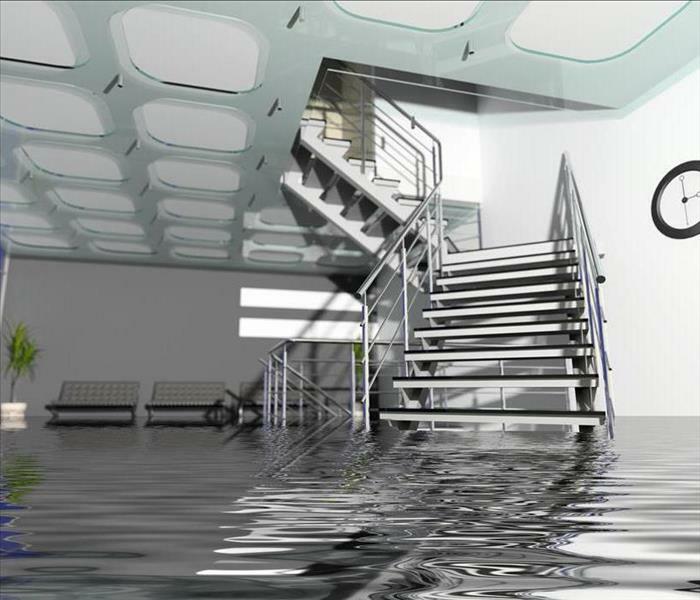 Roof leaks happen all the time . Most of the time home owners get the roof leak repaired and think that everything will then dry out and be fine. This usually isn't the case. You really need to have SERVPRO come out and read the moisture levels with state of the art equipment. 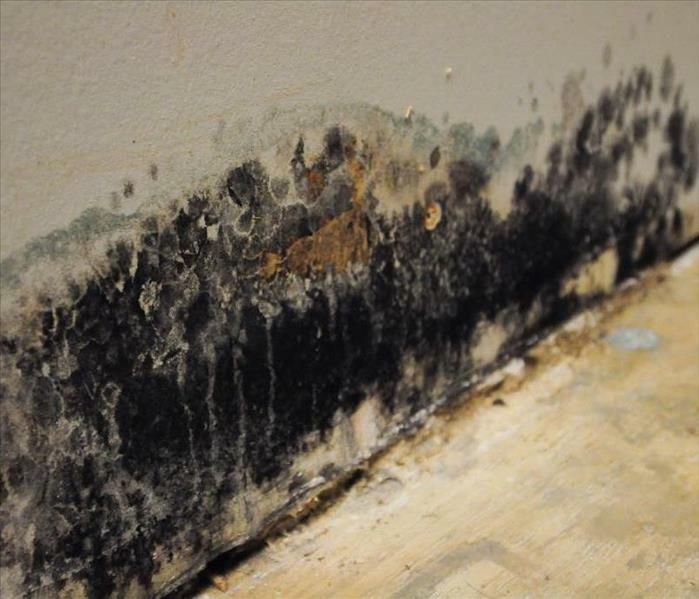 If left unchecked many times moisture will cause mold to grow on the insulation and walls. This was the case with the picture your seeing. The owners had their roof leak repaired 3 weeks prior and then as time went by they saw mold growing. 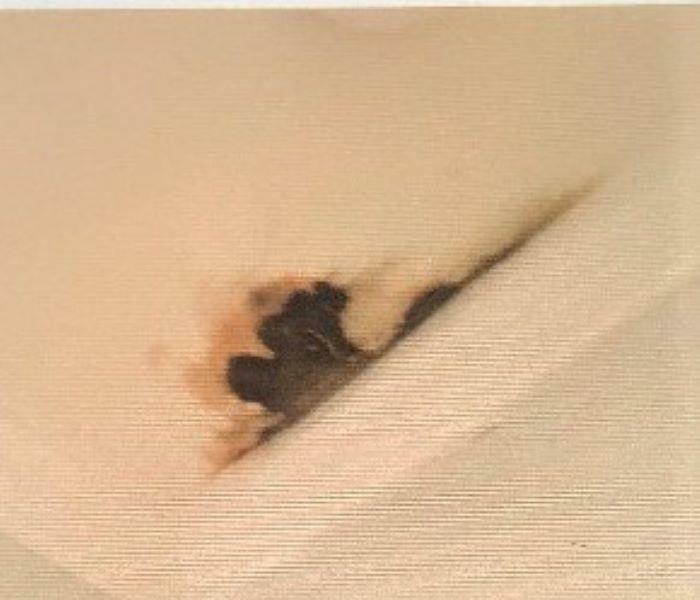 By the time it can be seen on the ceiling it may have been spreading and growing for weeks. You want piece of mind that you are living in a safe environment. Give SERVPRO of Baltimore's Inner Harbor call 410-637-3433. We can give you that piece of mind that everything is okay or we can mitigate and get you back to breathing easy. This is a tough one to answer but not because we aren't the best; it's just that the reasons are many. But to name a few; here you go. Things don't always happen between 9 to 5 . You are going to want to call and be heard by a real person. SERVPRO of Baltimore's Inner Harbor is open 27/7/365 days a year. We have a state of the art answering service so that someone can talk to you direct and then get you to the right person to help get this problem on the way to being solved. All crew members receive the best training in the industry via IICRC. ( Institute of Inspection Cleaning and Restoration Certification). The drying and cleaning method allows us to save a lot more than replace. The benefits are cost effective, time saving and it helps to give the customer piece of mind. To hear even more reasons just give SERVPRO of Baltimore's Inner Harbor a call and we can answer any of your questions. Many people think they don't have to worry about broken pipes in the summer but that really isn't the case. Before leaving for that vacation you might want to turn off your water and drain the pipes just like you would in the winter. Extended wet/dry spells ( this can make the ground shift and the extra pressure of this movement can cause problems with buried pipes). 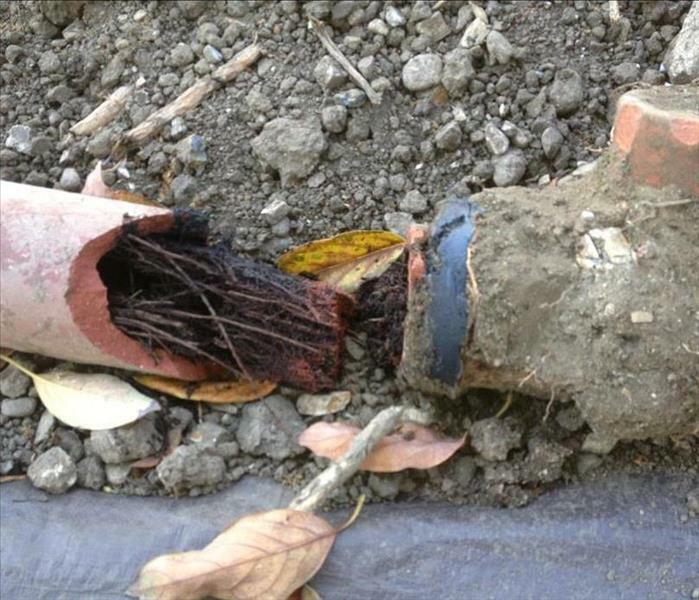 When a pipe burst; if you can, turn off the water supply at the main cut off valve when a pipe breaks. Drain the water by running cold water in the sink and flushing the toilets. Of course call SERVPRO of Baltimore's Inner Harbor 410 637 3433 to help get your property dried out. SERVPRO of Baltimore's Inner Harbor is there for you year round. Because we are more than a pretty truck. SERVPRO has been around since 1967. Wow, right?! We all know those companies that come and go. They get a truck and put their name on the side and you think they must be good . Just because they have a name and a truck doesn't mean they have the background and expertise you want working on your home. 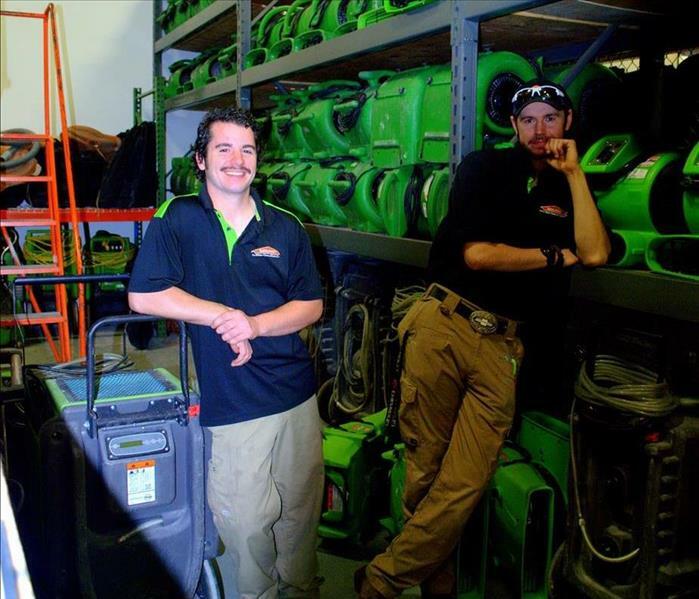 SERVPRO of Baltimore's Inner Harbor is proud to be one of 1700 franchises Nationwide. Did I mention that SERVPRO has won numerous awards? Too many to list here but feel free to go to the company website and check it out. SERVPRO has the trust of all the top Insurance Companies. SERVPRO can help with your claim to make your situation as seamless as possible. I think the question should be "Why Not" use SERVPRO. I'm sure it will be hard to add a reason to that list. It always makes sense to be a lifetime learner. SERVPRO of Baltimore's Inner Harbor couldn't agree more. Our crews are always learning. Learning new equipment, new techniques etc. Our crew members have to always keep their credentials up to date every year and have to keep adding to their expertise. SERVPRO of Baltimore's Inner Harbor is so proud of the men and women that are called in to help people on some of their worst days. We are able to keep them informed ever step of the way. Our crews are able to help them understand the methods they are using, the chemicals they are using and why. The more they know the more "super" powers they have ;). Next time you see one of our crew members don't be afraid to ask them about their credentials etc. What to do when you see mold. 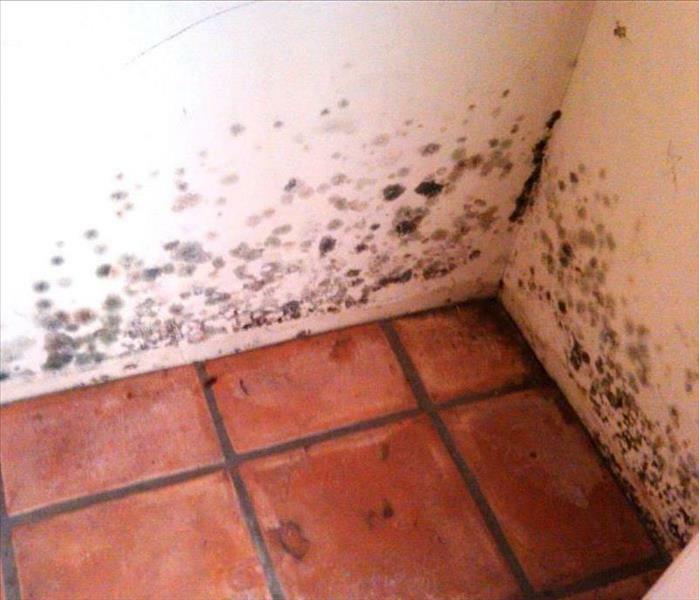 Contact SERVPRO of Baltimore's Inner Harbor for mold remediation services. Heating is the second leading cause of a home fire next to cooking. We always think of candles and cooking causing fires but we need to think of being safe when we heat our home too. Use your fire place safely. Always use metal or heat tempered glass screens when using a fireplace. Never use an oven or stove top to heat your home. Keep wood stove door closed unless adding wood or pellets or stoking the fire. Make sure your space heater has an automatic shut off. If it tips over then it goes off. It's always best to test your smoke alarms at least once a month. 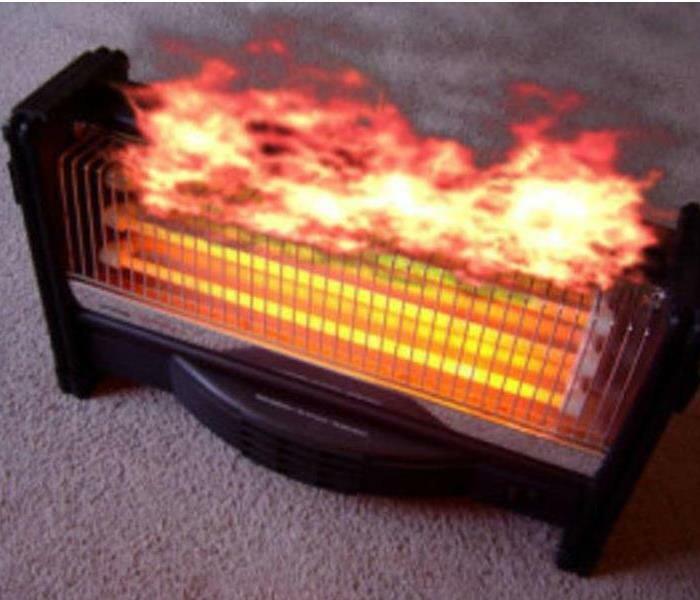 Always remember to turn off a space heater when leaving the room or going to bed. SERVPRO of Baltimore's Inner Harbor is here to help if a fire happens in your home. Give us a call at 410-6373433 . 4/2/2019 - Because we care about the chemicals we use. 4/2/2019 - One thing can lead to another. 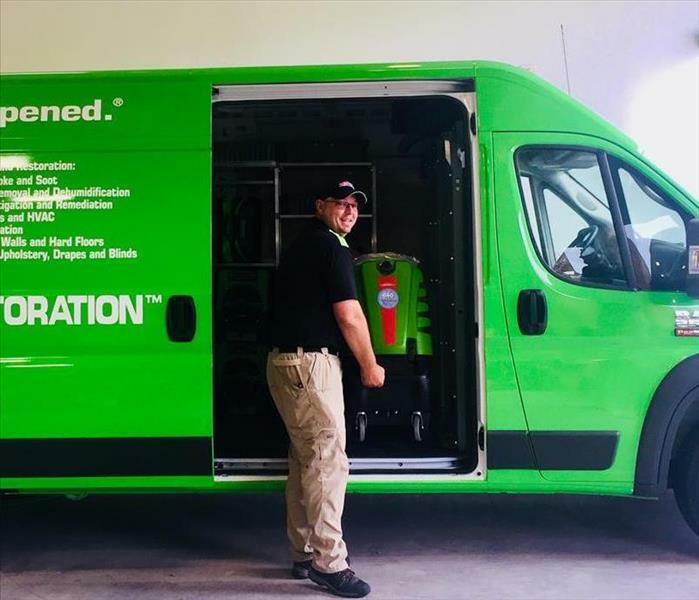 4/2/2019 - Why use SERVPRO? 4/2/2019 - Because we are more than a pretty truck. 4/2/2019 - Keep Learning, Keep Growing. 1/18/2019 - Your Business and Water. 1/17/2019 - What to do when you see mold. 1/17/2019 - Does your home have mold? 1/7/2019 - Heating and Home Fires.